From starter condos to luxury homes and from up markets to down markets, Lino Darchun has the knowledge and patience to help buyers and sellers realize their real estate dreams. He guides clients to make smart, confident decisions by applying his decades of experience and rock-solid dedication to customer service. Unique Homes magazine named Lino a member of the ELITE 2005, a prestigious group comprised of top real estate professionals from around the world who specialize in the marketing and selling of exceptional properties. He's frequently quoted about the Chicago real estate market in leading publication such as Crain's Chicago Business, the Chicago Tribune, The Economist and others. Lino's commentary on the Real Estate profession. 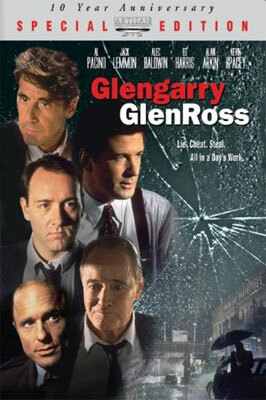 Special Edition DVD — "Glengarry Glen Ross"